I had some beautiful embroidery floss in various colors and I thought I will use them to make crochet appliques or crochet jewelry accessories! Butterflies for my little girl! 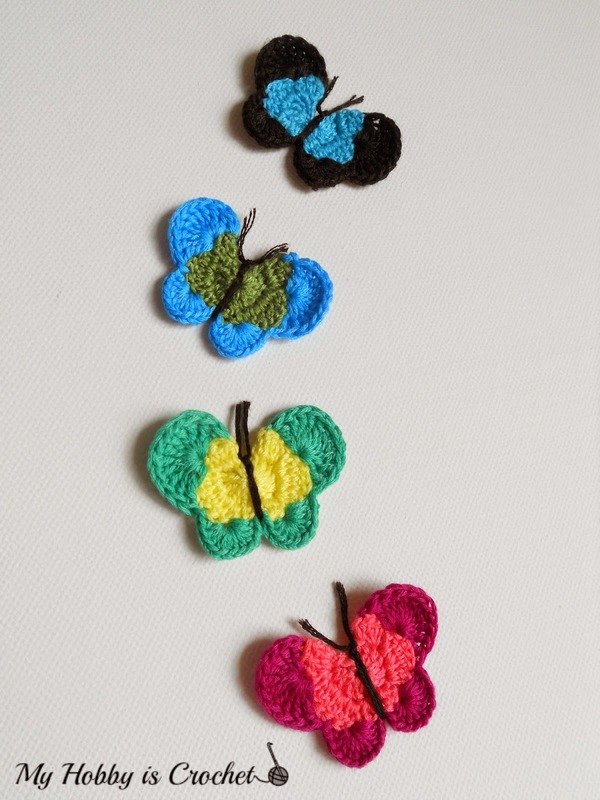 I have crocheted these pretty butterflies using the Free Crochet Pattern Sweet Butterfly by Liliheart Designs found via Ravelry. I really liked the pattern, very nice, easy and quick! Only 3 rows to work! The pattern is written using one single color, but I used 2 colors for each butterfly, changing to second color this way: at the end of the second row, I worked the last dc of the row till half; having 2 loops on hook, I have joined the second color and finished the last stitch with the new color and continued working the last row with the second color. For my butterflies I have used following materials: embroidery floss, crochet hook size 1.5 mm and sewing needle. 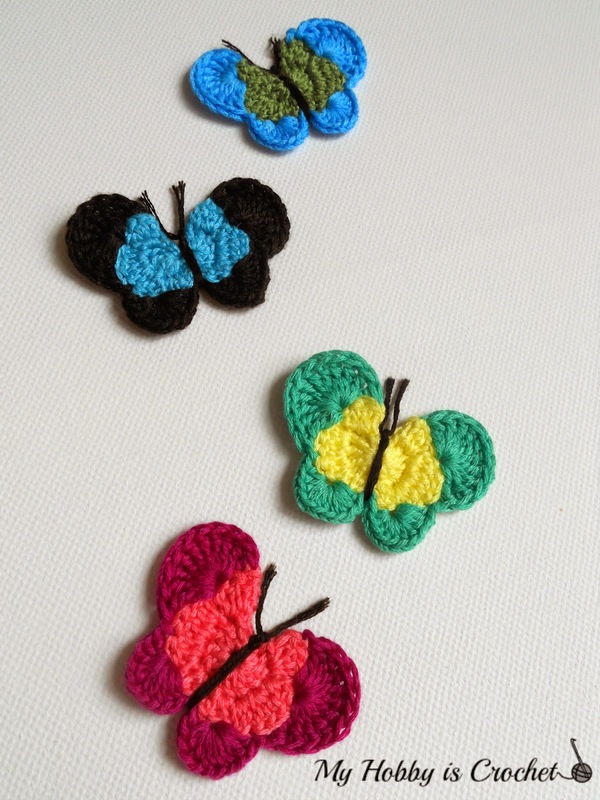 My butterflies are 4 cm x 5 cm big, perfect to use them as applique! 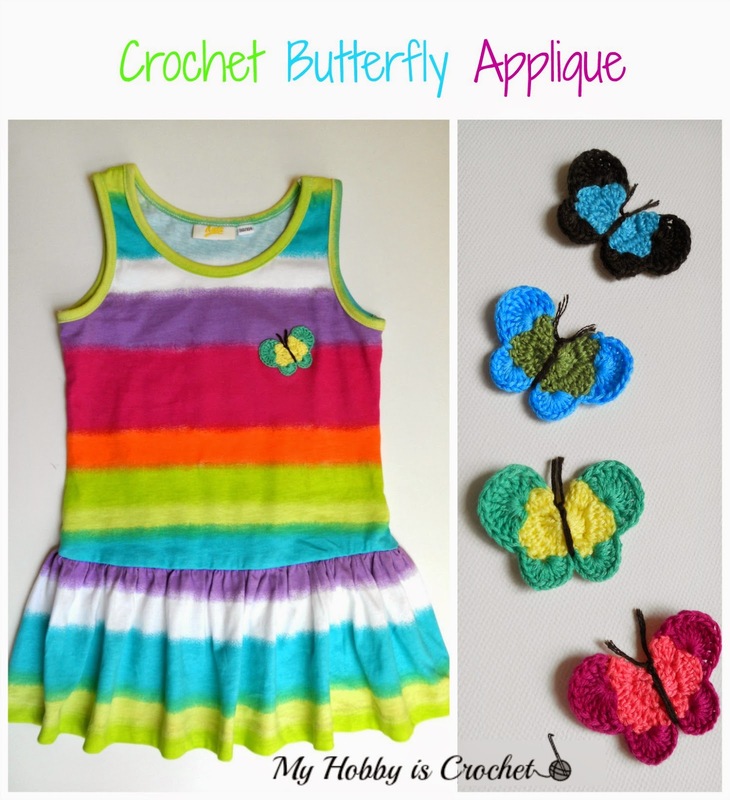 I sewn one of the butterflies on my little girl's rainbow dress. I thinks it gives the dress an extra sweetness factor! :) What do you think?